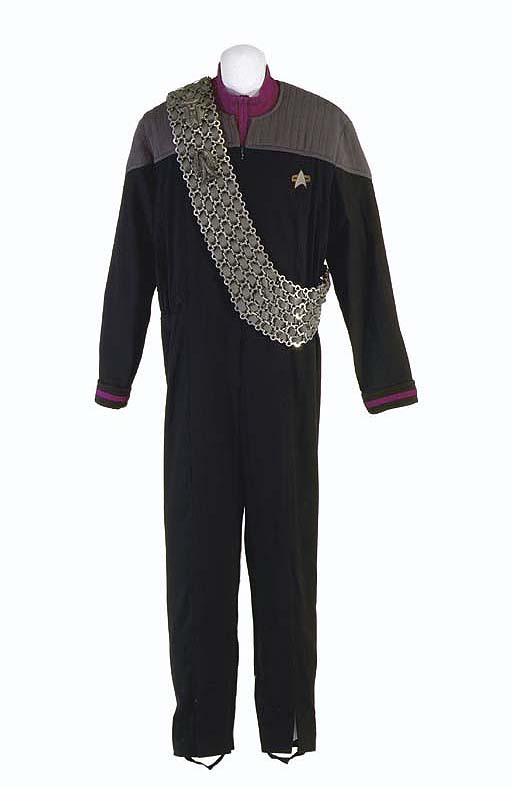 The black and grey Starfleet uniforms were introduced in Star Trek: First Contact and were seen in the two subsequent Star Trek: The Next Generation movies. The design was also featured on Star Trek: Deep Space Nine and Star Trek: Voyager. Designed by Robert Blackman, they are the latest version of the classic Starfleet uniforms originally created by William Ware Theiss.